Advanced Therapeutics is an award-winning wellness centre located in the heart of Toronto’s Leslieville area. Our experienced therapists provide registered massage therapy, acupuncture and chiropractic care. We are commited to helping people achieve and maintain optimum health through experienced hands-on care with 100% dedication to each individual. Call us today and find out more about what we can do for you! Advanced Therapeutics was established by Kevin Oates RMT, in 1989. Through much dedication and focus, Advanced Therapeutics has become a fixture in the community, and garnered an excellent reputation for being a caring environment with highly professional seasoned therapists. We recognize the growing health demands of the public, and are pleased to provide outstanding acupuncture and chiropractic services to complement our award-winning massage therapy. A barber shop located in Leslieville. Women’s boutique with Flight Cafe inside. If you are looking for Toronto’s most unique gift store … you’ve found it! We rent booth space to over 200 local Toronto artists and vintage vendors between our three locations meaning there’s a whole mix of items and products to chose from. From jewelry to pottery to gift cards to beauty products – we’ve got it! We love food. We love wine. We love racing. So we named Ascari Enoteca after one of our heroes, 1950’s Italian racing legend, Alberto Ascari. He was as famous for his appetite for food and wine as he was for his talent for racing, earning him the nickname “ciccio” ‘ Italian for ‘chubby’. Ascari Enoteca is a neighborhood locale where people come to linger over a simple, delicious meal washed down by a superb bottle of wine (or two). Here you’ll find homemade pastas made fresh in house every single day, plus a wine list featuring well-known varietals from across the globe and more than a few undiscovered gems. The latest men’s & women’s lifestyle and street wear. The Attic is the newest indie arts hub for Toronto’s artists and the community’s venue needs! Book your rehearsal, performance, or event today! At Baby On The Hip we take time to carefully choose each of our products based on guidelines of sustainability, non-toxicity, and overall quality. We understand that eco-friendly doesn’t have to exclude style which is why all of our products are chosen with style in mind. We also understand that making important decisions for you and your baby means being informed and that’s why each of our caring staff members are fully trained to help and guide you with extensive product knowledge and useful information. Baby On The Hip tries to make every aspect of business as green as possible. We recognize that by implementing policies and establishing practices, we make being green easier for our staff as well as for our customers. In addition to offering eco-conscious baby products, we also ship with recycled supplies. For all of our shipping needs we have yet to use a ‘new’ box or packing paper. We collect and save incoming shipping supplies and use them to package our outgoing orders. Baldini: a true Italian cuisine. A simple sub shop was bought and turned into a popular fine-dining restaurant, and since 2006 it has been an appealing addition to the Trendy Leslieville Gem. Baldini presents guests with a pan-regional selection of dishes from Northern and Southern Italy, along with home-made pastas, breads and sauces. Executive Chef Sal, the sole owner, with over 20 years of experience, ensures that ingredients are fresh from local markets and are prepared only in the finest Italian tradition to ensure the best possible flavour. Followed by homemade gnocchi and other savoury pastas, risotto, whole-wheat thin crust pizza, along with meat and seafood dishes; Baldini has a wide range of full-flavours of the herbs and spices, that creates the full-Italian experience. Gentle jazz sets the mood, as our diners unwind casually on the classic brick wall and the cozy dining atmosphere, enjoying their meals at the heart of the Leslieville Gem. Experience a rich selection of the best Italian wines, complemented by the soothing ambience along with our friendly staff, which makes your visit at Baldini, a memorable one! Combining over 30 years in the Canadian design & luxury industry, Matthew & Rick Bettencourt launched Bettencourt Manor out of a desire to carve out a niche in which to share & collaborate on work, inspiration, & resources. Renowned for providing clients with curated solutions to interior design, art direction, & styling, Toronto-based Bettencourt Manor is a boutique design agency servicing clients throughout the GTA. Specializing in creating work that embodies our fun loving approach to design & décor, it is Bettencourt Manor’s innovative ideas & personal mixtures of vintage & modern influences, filtered through the lenses of seasoned designers’ eyes that defines our signature style. Our belief is that good design draws as much upon intuition as tradition, & that rooms should feel as though they were furnished over time & curated with momentous that have a sense of personal history. We happily embrace the bold patterns, colors & textures that inspire us to design meaningful spaces that resonate with our client’s visions. The Bettencourt Manor brand was fostered with a deep passion for interior design & fashion, merging these affections into shared and inviting visual experiences. To say that we are passionate about design would be an understatement, we live & breathe it every day, finding inspiration in everything we do. In 2014, Matthew Bettencourt launched Bettencourt Manor Textiles (formally Heirloom & Knot Textiles), which through the support of publications such as Elle Décor, House & Home, & Style at Home Magazines quickly grew in popularity. Today Bettencourt Manor produces seasonal textile collections offering a curated selection of exclusive prints offered in both wallpaper & custom textile fabrications. Celebrated for its bold & edgy aesthetic, the Bettencourt Manor Textile collection has become a staple to discerning designers & clientele alike. Black Rooster Decor scours the world for unique and stylish furniture and accessories that are top-quality and made to last. With us you’ll receive a personal shopper and decorator in one — access to our always evolving showroom, and a vast catalogue ranging from mid-century modern to European antiques. You may never shop in a traditional store again! We now ship worldwide, and have warehouses in the States, making it easier to get your order to you. We support North American companies and like-minded small businesses as much as possible. Many of our larger pieces are made from reclaimed material. We only sell merchandise we have seen ourselves and vouch for 100%. We enjoy working with designers/stylists and offer trade discounts on large-volume orders. Independently owned and operated in Toronto, Canada. Working small but thinking big. Blitz Facial Bar puts a modern spin on classic facials to help you maintain healthy, radiant skin. Consult with our expert aestheticians and enjoy personalized facials ranging from 30 to 60 minutes with our exclusive skin care line. Choose from a selection of al a carte add-ons to take your facial to the next level of customization, and for people on the glow, our modern, open concept spaces are close to where you live and work. Blitz Facial Bar is a natural extension of Body Blitz Spa and our philosophy of beauty through health. For 10 years we’ve taken care of your body, now we’re bringing a decade of experience to your face. Don’t forget to sign up for our newsletter for the latest news and promotions! Bobbette & Belle’s artisanal pastry shop is located in the heart of Leslieville in Toronto, Canada. The open and airy 3000 square foot space features a wide selection of our fresh baked, home-style, and high end pastries. Everything is baked from scratch, using only the finest ingredients including Lindt chocolate, Boiron fruit purees imported from France, and Nielsen-Massey’s pure Madagascar vanilla. Bobbette & Belle is pleased to provide free WI-FI and a wonderful atmosphere for you to come and enjoy artfully pressed espresso drinks and a special treat which comes baked directly from our ovens daily on the premises! Come and treat yourself to a little Parisian getaway in the heart of Leslieville. 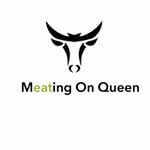 Specializing in raw feeding, organic treats, eco friendly toys and gear sets us apart from the pack. What makes us one of a kind, is our amazing selection of fine goods for you and your home to compliment your dog loving lifestyle. Brooklyn Tavern is a true North American neighborhood gathering spot: A place to spend some time eating, drinking and meeting with friends. A place to bring the family for brunch, get together with friends and colleagues for a tasty meal, or drop in to enjoy the game and stay for a late night glass or two. All in a warm and comfortable room with great music and friendly, knowledgeable staff. From Weekend Brunch to Sunday Roast Dinner, Brooklyn Tavern’s approachable menu offers something for everyone. With local craft beer, VQA and New World Wines, the drinks list is focused on Ontario offerings, complemented by our signature cocktails. We hope to see you soon! We are a team of Toronto-based PhiBrows microblading artists that love making our clients look and feel absolutely beautiful. 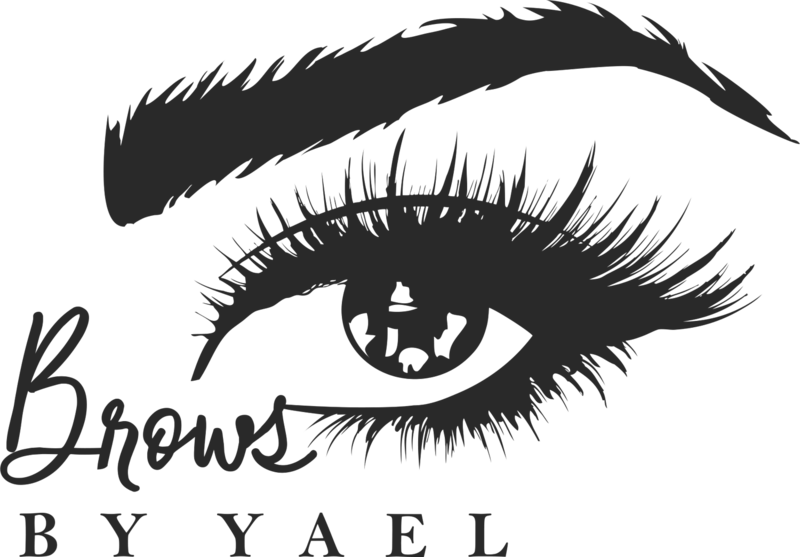 Our studio was founded by Yael Malkin who started her career in the beauty industry over 15 years ago. For the past few years, our sole focus has been on microblading and PhiBrows services. The owners and operators of JustB Salon are excited to bring you a locally curated Beauty Boutique, where our mission is to make life more Beautiful. We invite you to celebrate your Beauty with us at our new Leslieville shop, where we provide luxe services including manicure, pedicure, makeup, lash extensions and brow assessments. We believe that you should be able to relax, enjoy, and most importantly B Beautiful at our new boutique. Established in 2013, Cask Music is Leslieville’s only purveyor of new and used musical performance equipment for emphatic musicians and audio production enthusiasts. Boutique imports, locally-created essentials and gear with character, even when you’re on a budget. We buy, sell, trade, and consign. If there is something in particular you’re looking for, or have something you want to see in our store, get in touch! We service guitars and basses, electric and acoustic, 4, 6, 12 strings and beyond. We do all of your setup and wiring requirements in house, and we do a great job. We service amplifiers, pedals and almost anything musical through which electricity flows. Our tech department is well versed in tube, solid state, quiet, loud, new and old. We also work closely with luthiers and specialized technicians across the GTA, so we’ll take on almost any job. Please get in touch to discuss your ideas in more detail. We are the un-church that includes people of all religions in the realization there is ONE creative intelligent energy throughout the Universe and it is ours to use for the betterment of our lives. Therefore, we enrich the lives of others. Hola Amigos, we’re Chino Locos, Toronto’s original Mexi-Asian fusion burrito smashup joint. We do it legit here with fresh ingredients prepared daily, homemade sauces and marinades, and meats prepared onsite. We’ve been named Toronto’s Best Burrito 2011 – 2015 from BlogTO and have been cranking out some delicious grub since 2008, so come by and try one of our tasty good burritos. We have two locations: our original takeout store in Leslieville and our new sit-in location (cerveza por favor?) in East Chinatown. Small South American sandwich shop with creative combos & bright graffiti on the walls & a patio. Contemporary Computers was founded in March 2009 with the belief that we could offer a higher quality of service and a better customer experience than what was currently available in the computer and technology services market. We wanted to create a place where creative solutions, reliable service, and personal relationships were paramount. Contemporary Computers specializes in technological services for both residential and commercial clients, including data recovery, website design, on-site service, computer repair, consulting, and business services. Our store is located in beautiful Leslieville, Toronto, at 1101 Queen St. E., just east of Pape Avenue. Our facilities include computer service and repair workshop, web design and support operations, as well as a full featured data recovery lab. We are pleased to bring Core restaurant to Leslieville where hospitality and service are a part of our core, and by extension we aim to become a part of the core of the community. Passion is what drives us. A passion for fresh, seasonal ingredients, a passion for working with our local community, passion for hospitality and service, these are integral in our beliefs, and we hope you see that passion on our plates, decor, and service. ​With over 25 years combined experience in hospitality around the globe, our Core is here in Leslieville, and we look forward to bringing our passion to you nightly. We aim to get to know you all as neighbours and friends, and take care of each of you as if you were in our home, because at the end of the day, you are. We’re an athletic apparel and fitness boutique in the East-end of Toronto. Founded on the principle that physical culture is a uniting force between individuals, we believe that you don’t need to compromise your self-expression to find gear that performs at the highest level. Carrying a mix of established and emerging brands, we’re taking a curated, boutique approach to active-living gear. Running, cross-training and yoga. We also have studio space and run a ton of weekly and monthly fitness events. Check out our schedule for more details. Welcome to Daniel Jewellers. My name is Allen Malloy and my wife is Yoko. We have two amazing children named Daniel and Elana Mika. I am a jewellery maker and gemologist and Yoko is the designer of displays in the store. We have been in business since 1992 were a travelling show going to exhabitions all across Canada but opened Daniel Jewellers in 1995 when Daniel was born (had to settle down). We both are experienced in sales and also in evaluating / buying jewellry. We are known to sell jewellry at the best value in Toronto and for paying top dollar for your jewellery for sale. We are located at 1006 Queen Street East in Toronto, Canada with convenient access via the Queen Street Streetcar. Motor City–inspired pies with thick crusts served in tiny digs with a distressed-chic feel. reflecting contemporary material and visual culture. Doll Factory by Damzels has been voted “Best Women’s Clothing Store in Toronto” three years in a row by Now Magazine Reader’s Poll 2013 – 2015! Since they opened their first boutique in Leslieville in 2006, Doll Factory by Damzels have been providing Toronto with the best selection of figure flattering, vintage inspired dresses in the city. Doll Factory stores feature over 30 brands of dresses ranging from day to cocktail but the stars of the show are pin-up and retro styles by coveted brands such as Stop Staring, Pin-Up Couture, Trashy Diva, Effie’s Heart, Heart of Haute and their own in-house label Damzels in this Dress. Dr Sheldon Hoppe practices General Dentistry in Leslieville. Unassuming roadhouse with live music & karaoke, plus patio dining & a global bar-food menu. East End Garden Centre, located at 1395 Queen Street East, has been helping east end gardeners grow great gardens since 1981. For those of you that have visited our location, you know that we are a full service, garden centre and retail outlet. One of the first things you’ll notice when you visit us, is our large selection of top quality live plants, which is unparalleled in this section of the city. Maintaining the quality and selection of our plants is our main priority and we take this task very seriously. East End Garden Centre only partners with a handful of top growers that meet or exceed our strict guidelines and most of these partnerships have been years in the making. East End Garden Centre also carries a large selection of hardgood products such as; fertilizers, hand tools, insect and pest control products, pots and planters and much more. In short, we would like to welcome you to our web page and invite you to spend a moment or two browsing the rest of the site to see some of the products and services we offer. Of course nothing beats a visit, in person, to our retail outlet. Eastside Social brings “coastal fare, bevies and great times” to Toronto’s trendy east end in Leslieville. This seafood-focused restaurant offers a bar on one side and dining room on the other. Ed’s Real Scoop satisfies the sweet tooth in all of us by making the highest quality home made ice cream, gelato, chocolates, and treats right in the stores. Fight or Flight Games is a card store and gaming lounge. Located in Toronto’s vibrant Leslieville neighbourhood, Florabunda is a “Mom and Pop” style flower market which offers a very wide selection of locally sourced fresh cut flowers at competitive prices – allowing you to create affordably priced bouquets. Kelly and Marc Staples, owners and husband and wife team, had a passion for flowers and the desire to invest in their neighbourhood. They followed their dream and opened Florabunda, a flower market where you can go for your weekly flower fix, special occasion arrangements and bouquets, or for last minute gift giving ideas. With formal horticultural training, Marc is a plant and flower expert, having spent over twenty years in the horticultural industry. He is always searching out the finest flowers and plants at the very best prices. Kelly is a trained florist, having achieved her certificate of floral design with high honours. She is informative, enjoys answering questions and helping with tips and tricks of the trade. Florabunda is a true small business, where we specialize in the creation of one of a kind vase arrangements and hand tied bouquets, using our large assortment of seasonal flowers and reasonably priced containers to produce beautiful, striking and long lasting arrangements – made while you wait or for delivery anywhere in Toronto and the GTA. A large variety of indoor, easy to care for tropical plants and long lasting potted orchids are also available, in all shapes and sizes. Expert advice enables you to choose something appropriate for any spot in the home or office. Step into our shop and let our personal service and sound floral advice show you how easy it is to have beautiful, economically priced flowers and plants in your home all year long! Previously Lil Bacci – Italian classics. Warm eatery with wood-panel decor serving Thai cuisine, with vegetarian & gluten-free options. Voted “Best Vintage Clothing Store” on toronto.com’s internet poll, Gadabout is an amazing repository for all that is vintage. Gadabout houses an extensive collection of vintage clothing, accessories, and fabrics including household textiles, blankets and rugs. In addition, the store carries ephemera, nostalgia and curios. Our Manly Man Corner is famous for its variety and oddities. Owner John Schell’s passion for working with flowers started early in his life. While living in Quebec City, John was given the opportunity to work in a friend’s flower shop and people soon realized he had a talent for creating and combining design ideas. While working as a florist’s apprentice he studied the art of floral design and floral care through intensive courses in Montreal and throughout Quebec. After John’s move to Toronto in 1991, he continued to work in the floral industry and finally took the steps to open his own shop. In May of 1993, just in time for the Mother’s Day weekend, the grand opening of Garden’s Path was a phenomenal success. A big nose hangs outside this bustling eatery with small plates of housemade Italian comfort food. Glass Monocle Eyecare is a full service optical dispensary providing eye wear, eye exams, and contact lenses along with amazing service. Rustic tavern serving drinks & a varied global menu in a space with brick & wood decor. Classic French fare & wines, with many by the glass, served in a cozy, charming dining room. This H&R Block location is seasonal, so check the website before you visit! Used car dealership in Leslieville. Bright-green walls adorn this North Vietnamese eatery known for its compact menu of classic dishes. We are a gallery and studio in Leslieville specializing in photography and graphic art. In the studio we offer fine art printing, custom matting and graphic design services. Snug, stylish cocktail bar with a minimalist vibe offering classic & artisanal libations. Authorized Distributor of TRUE Lacrosse & Toronto Rock Jerseys & Apparel. Great Prices on Lacrosse Nets, Balls and Goalie Gear for Teams. Field & Box Nets from backyard to pro. Great Process for Cascade Helmet Team Orders. Goals, Shooter Tudor, Goal Blockers, Targets & Creases from Brine, Under Armour, Bownet, Lacrossenets.ca, Rage Cage & Gait. Many in store now. Field and Box Nets from backyard to pro. Call for prices. Contact us for Great Prices on Balls – Single through to Cases. All in stock at the Toronto retail location. Home James Decor & Staging was founded on the premise: Life & Design made simple and affordable. Respect for our customers and our team. Respect for our fishers, fish farmers, and their communities. Respect for the fish we choose to buy and how we handle that fish. Most importantly, respect for the preservation, protection and balance of our wild waters. We are proud to deal personally with our fishers, processors and fish farmers, both locally and nationally. This enables us to know exactly where our fish was caught, how and when. We handle all of our own freight to ensure that we have control of our fish from the moment the boat arrives at the dock, both on Western and Eastern shores. Vintage Comes Closest To The Real Thing! We are a small, but growing new store in Toronto’s east end with a staff of three, who have diverse tastes and interests. We cater to a diverse clientele ranging from those who prefer the sound of an analogue recording over digital to the aural needs of Disc Jockeys and collectors. We have an extensive Rock section, as well as an early R & B, Blues, and a constantly growing Jazz section. Fans of the LP have always attested to the fact that Compact Disc (CD’s) lack the warmth and depth of the sound produced by a diamond tipped needle riding a vinyl groove. For some, this is as close as it gets to a live performance. Our customers like to come in and chat in our exciting atmosphere, and usually end up staying much longer than they anticipated. We have over 40,000 records in stock with an inventory that is growing daily, as well as posters of the GREATS in all genre’s of music and film, many of which are professionally mounted and sealed from the elements. We also sell books and other music/film oriented items. Sheldon Draper, the owner has interests ranging from the soothing voices of Timi Yuro and Tony Bennett from the Early Sixties British Invasion Rock Groups, i.e. Beatles, Rolling Stones, Animals, Kinks, Sorrows, Pretty Things, Them (featuring Van Morrison), Strangeloves, etc. to the Hard Experimental Rock of the Mid Sixties to Mid Seventies Rock Groups, such as Ford’s Theatre, Travel Agency, Led Zeppelin, Iron Butterfly, Jefferson Airplane, The Doors, (that whole San Francisco psychedelic scene of the Haight-Ashbury district. Also included in this impressive lineup of artists, is Johnny Winters most innovative work, “Progressive Blues Experiment”, one of Sheldon’s favorites even to date. He also followed Toronto local rock groups with great interest, i.e. Ugly Ducklings, Stitch In Tyme, The Paupers, The Band, McKenna Mendelson Mainline and other local Toronto bands. He was and still is also a great fan of R & B music such as the likes of Otis Redding, Wilson Pickett and James Brown, etc. Sheldon has been buying records for his own pleasure since the early sixties which was his inspiration for starting this very eclectic music store. Nut-free facility crafting custom wedding & ceremonial cakes, cookies, tarts & flavored cupcakes. We demystify the rules, regulations and issues. We work with you to build achievable and efficient strategies. Stay focused on your goals minimize your tax liabilities and achieve more. JustB is designed to offer a fun and relaxing experience. We want every client to feel runway confident with their everyday wear. Colour and gender neutral cuts are passion areas for us but we’re here to help everyone achieve the look they want and feel confident in their own shoes. The space and service at JustB is designed to be down-to-earth and relaxing, but we also believe a visit to the salon should be a fun and energetic experience! A place where you can B who you want to B. We are excited to be part of the Leslieville community. We work closely with our suppliers to source fresh and whenever possible local ingredients. The entire menu is vegetarian – with vegan options. Our suppliers include Raise the Root Organics, Epi Breads, Queen Street Bakery, Sweets from the Earth, Minor Figures & Merchants of Green Coffee. Find your dream home with our services. Kristapsons uses cold-smoking – the best way to treat any fish. By smoking on heat-that’s-almost-not, these super-succulent salmon conserve much more of the especially beneficial Omega 3 oils recommended by doctors to maintain good health and empty party plates. Leslieville is getting set to welcome a Spanish restaurant among its culinary ranks. About Lee’s Food Products Ltd. Chef and owner George Wensley welcomes you to his cozy kitchen to sample cocktails, fresh local fare, and traditional, homemade desserts. An intimate 40 seat space that is the perfect venue for date night, drinks, and dinner with friends and family. We also love to cater to local studios, small and large events, and regularly rent the space for private dinner and cocktail parties. During the warmer months, our lush back patio is a welcome getaway; a quiet place to dine under the Leslieville stars. Leslieville Animal Hospital is a place where the genuine care and comfort of our clients and patients is our highest priority. We are pet owners serving pet owners. We understand the special role your furry companion plays in your family, so you have our promise that we will work hard to provide you with individualized care. We use up-to-date equipment and emphasize high quality care. Leslieville Animal Hospital is a full service facility caring exclusively for small companion animals. Our goal is to work with pet owners to formulate a personalized diagnostic and treatment plan that will ensure the best quality-of-life for your pet while trying to maintain affordability. We welcome your entire family at Leslieville Animal Hospital and look forward to seeing you and your pet. Leslieville Animal Hospital is honoured to be a part of Leslieville/South Riverdale’s community where we have been caring for family 33 since 2007. Our veterinarians, technicians, assistants and customer service representatives have one thing in common; we have dedicated our careers to providing compassionate and responsible healthcare. Drop by your neighbourhood shop for a delightful selection of local and global cheese,cured meat and gourmet foods. Be sure to try a critically-acclaimed grilled cheese sandwich. Contact us to cater your event with food that has flair. We are located in the heart of Leslieville at Queen and Leslie. Leslieville is a quaint community nestled between the Riverdale and Beaches neighbourhoods of Toronto. For more history on Leslieville, see here. Our office is at street level beneath the Avondale Retirement Residence. Metered street parking is available on Queen Street. Free parking is available in the surrounding residential neighbourhood. The streetcar stops at Queen and Leslie, both eastbound and westbound. Design Center and Showroom located in the heart of Leslieville. Specializing in custom kitchen cabinets. At Leslieville Prosthodontics, we are dedicated to the practice of reconstructive, cosmetic and implant dentistry as our specialty. In addition, we provide general dental care for you and your family. Restoring optimal esthetics and function for patients with difficult dental situations is a purpose we truly value because of the transformative impact prosthodontic care can have upon their lives. It is also a challenge we enjoy, one that inspires us to continue making strides in research, technology, and education. Life is good if you live downtown, or need to FUEL UP on your way by. Come ENJOY a real EXPERIENCE, that is a fine country store with SOUTHERN BBQ flavour. Located in the heart of Leslieville in Toronto’s east end, at the corners of Queen St East and Curzon St, above the Skwish restaurant. The entrance is located at the back of the building off Curzon St. Please note, if the door is locked, it will open 15 minutes before class. If the door’s open, come on in! All classes are barefoot. AAA Bar is an award winning Central Texas style BBQ joint catering to adults and families alike. We are a BBQ joint serving Dry Rub Ribs, Brisket and other traditional favorites smoked daily on our offset barrel smoker.Full menu served until midnight 7 days a week. “Mostly” Gluten Free! Our clinic has a calm and soothing environment that helps you relax before your treatment. All our therapists are experienced, caring and will make you feel comfortable while visiting us. We are dedicated to bringing health and healing to our clients. Our main goal is to make shopping for a Used Car as simple as possible. We do everything in our power to make sure all of our customers are satisfied. We have a wide selection of used Cars, Trucks, Vans, SUV’s and Recreational vehicle available with competitive prices. We hope your experience with Logan Motors is a great one, exceeding your expectations is always our goal. For nearly two decades, Toronto’s Jake Keck has offered modern vintage furniture, lighting and accessories. Jake’s 20th century collection includes modern design icon’s by legendary masters and rare international finds, all artistically arranged. These design elements coexist harmoniously among affordable, purposeful, stylish pieces still relevant today. Popular spot with wood tables and minimalist decor serving inventive bao, dim sum & quinoa boxes. We offer the freshest and highest quality possible. Cuts from Europe and Latin America. We also age our own beef up to 45 days+. Try our customer favourites: Prime Rib Bones with our homemade churrasco marinade; Bacon wrapped fillet mignon, and many more. Since that sunny day in the Spring of 2006 when we first opened our doors, Mercury Espresso Bar has been serving (and occasionally slinging) some of the finest coffee in Leslieville. From our neighbourhood roots to our shared excitement for beautiful coffees from around the world, we want to provide our community with an experience that stretches far beyond the cafe visit and into a love of great coffee. We take pride in our relationships with some of the coffee industry’s best roasters, keeping quality espresso blends at the forefront while showcasing the season’s most exciting new coffees at every opportunity. Stop in for an espresso and talk to us about coffee. 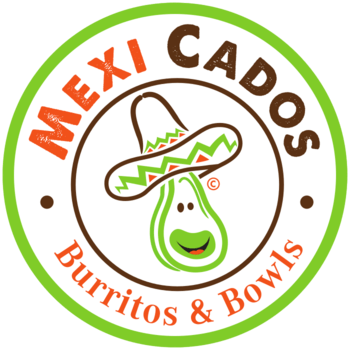 MexiCados Burritos & Bowls brings the flavour of traditional Mexican cuisine to Brampton! With our Mexican food bowls, burritos, and tacos, we have you covered for all Mexican food alike! Why not try the Steak Quesadilla Taco, one of our many gluten-friendly burritos like the Gluten-Friendly Vegetable and Guacamole Burrito, or grab a bite of the Bean and Cheese Rice Bowl Combo! Mira Mira serves health conscious fare with purposeful, high impact ingredients without the sacrifice of bold flavours. It’s no secret that healthy fats, proteins from high quality ingredients, lots of leafy greens and colourful vegetables are the keys to maintaining your best energy, inside and out. We are all peeps related to the food and beverage industry and are deep rooted in it. Our idea of a Roti joint came about due to Toronto’s love for the product. But what we noticed was appreciation and demand for a product that was somewhat mediocre! Now, no offense to other joints serving Roti, but we dare to say that our product is fresher, superior and gives you the flexibility to make your own Roti the way you like it. Simple and fresh ingredients put together with some quintessential complex flavored Indian inspired curries or sauces as some may call it. And that’s why the name “My Roti Place” – because it’s truly “Your Roti Place” – just made the way you like it! Noble is a one-stop source for the building industry and specializes in plumbing, HVAC, hydronics, industrial, fire protection and building maintenance supplies. We love our part of the city, and hope you love it too. Did you know Alexander Muir, composer of “The Maple Leaf Forever” was from Leslieville? He was inspired when a brilliant maple leaf fell on his jacket from a Leslieville tree. That tree is still standing today and has become a famous landmark in the community. You can watch the leaves fall from our patio while enjoying our amazing grilled Elvis is King sandwich or our Buttermilk Pancakes or the famous HUEVOS – we know you’ll find something scrumptious for breakfast. Our lunches are also equally mouthwatering – check out the menu section of this site for more lunch ideas, and come over for a visit. We know you’ll love it here. Quality prescription glasses and sunglasses. On the Other Hand is the creative inspiration of Karen MacRae. Since graduating from George Brown’s Canadian Jewellery Design program in 2003, Karen has established herself as a top Designer in Canada. OTOH has been born from years of creating stunning custom pieces and fashion jewellery collections for various galleries across the Country. Late in 2016 Karen teamed up with Sabrina Melendez, a Master Goldsmith who graduated from Ecoles des Arts Appliques de Geneve Tech in 2009. Together the two are a formidable team. Karen and Sabrina excel at understanding and creatively exceeding the needs of each of their clients. Please feel welcome to drop by the studio and meet them anytime. On the Other Hand calls Toronto home. Located in historic Leslieville, Ontario, OTOH is situated in the heart of trend, fashion, and lifestyle. What’s the first thing that comes to your mind when we mention “art” … is it going to a gallery or auction? Let Paintlounge broaden your mindset – we want to take you back to the fun you had back in grade school before your day-to-day busyness took centre-stage. By simply playing around with colours and lines, you can express a whole range of emotions. And no drawing skills are needed! Our goal is to show you that social painting ™ is fun, relaxing, and is actually beneficial (it’s like a creativity workout) for our everyday lives. No matter if you’re left-brained or right-brained, we believe that you’re at your best when you get to exercise both sides of your brain. We want you to experience social painting in our friendly, casual atmosphere – we provide the canvas, unlimited free-flowing paints, & supplies, complete with a cafe bar to stimulate and refuel your creativity. Don’t know how to paint? Don’t worry – our artist staff are always here to help! Our integrity, hard work and unsurpassed level of quality and service are just a few key aspects to our business. Over 50 years of service demonstrates that our customers are happy with our achievements and continue to support our established brand. Project Gallery is a commercial art gallery in Toronto that exhibits a critical selection of artists whose work reflects new and innovative developments in contemporary art. With a gallery space in the heart of Leslieville and a studio overlooking the Don Valley in Riverside, Project Gallery is focused on establishing the careers of local emerging and mid-career contemporary artists through distinct exhibitions and projects. Project Gallery was voted Best Independent Gallery in NOW Magazine’s 2015 BEST OF TORONTO Readers Choice Awards. Project Gallery opened in May 2013 as a unique creative space for the innovation of contemporary arts and culture in the east end of Toronto. The inspiration for the “Purple Penguin Cafe” came from many my visits to the St. Jacobs Farmers market in southwestern Ontario. We offer you gourmet coffee, fresh fritters made using crispy apple slices, freshly squeezed juices and unique baked goods. Great coffee is no accident; it’s a cumulative effort between many dedicated workers from farm to café. Pig Iron’s task as a roaster is framed by the work done before the coffee reaches our cafe. At Pig Iron, they collaborate with farmers, sourcers, and importers that are quality-focused to bring in the most complex and ultimately delicious coffees that can be found. Using high-quality green coffee allows Pig Iron to roast with a light touch, bringing out the inherent sweetness and complexity of the coffee itself. Not only does roasting this way make the coffee taste better, it also enables Pig Iron to tell each individual coffee’s story by allowing coffee drinkers to experience flavours accountable to the coffee’s territory, cultivation, and processing. Pig Iron is not just a coffee roaster, it’s a company driven by coffee lovers. With a strong belief in craft, and the ability to take something that’s seemingly simple and make it extraordinary, we never stop experimenting. We are coffee brewers. We are coffee drinkers. And so every coffee is put through a myriad of brew methods with an artful touch and mind for science. We want to taste our coffee like you will because, after all, the story really ends with you: the coffee drinker. The Purple Penguin is please to share espresso based coffee and fresh baked goods with our neighbourhood. Fresh bread from St. John’s Bakery. St. John’s Bakery is a social enterprise business owned and operated by St. John’s The Compassionate Mission. They specialize in handmade organic sourdough breads made in the traditional French method, and sweets handmade from scratch.They use certified organic flours and all-natural ingredients and are striving to ensure that most of ingredients come from local suppliers. St. John’s Bakery is funded in part by the Toronto Enterprise Fund, a funding partnership between United Way of Greater Toronto and the three levels of government. You can enjoy our sandwiches made with freshly baked St. John’s Bakery bread, knowing that your purchase is helping others in need. The Purple Purl is a place to enjoy great yarn, refreshments, and good company. We carry a wide selection of colours and yarns featuring natural and exotic fiber. We love to support Canadian content so we feature Canadian independent dyers regularly amongst our cellar of fine yarns. Whether you are looking for wools, cottons, alpaca, bamboo and more… You will definitely find inspiration for your next project here. We are well stocked in everything from needles, hooks and helpful notions to fine yarns, books and local artisan made buttons and bags… we hope you find that all your knit and crochet needs are met, and then some. Be sure to check out our classes and workshops pages! And be sure to sign up for our newsletterto keep up with all the knitting-related events, product launches and trunk shows we feature. There is no lack of fun at our purl of a shop. Tuesday evening is our regular stitch-in night, so join us for the cozy atmosphere and the company of plenty of friendly and knowledgeable stitchers. We look forward to stitching with you and seeing what you are working on today! Queen Margherita Pizza started like every great recipe: with passion. A passion for Neapolitan pizza and dishes made with only the best, ethically sourced ingredients. From Italy and our own backyard. u0003A passion for the city we live in and the places we eat. And a passion we’re happy to share with you. General, family, cosmetic, implant, and periodontal dental care in the Leslieville area in the east end of downtown Toronto. At our office, we love technology. We are pleased to offer Digital X-Rays, Microscope Technology, Satellite TV at every chair-side, and Sedation. We also offer evening and weekend appointments to accommodate the busy schedules of our patients. Visit the Services & Videos area of our website for detailed information and educational videos on the array of clinical services we offer in our practice. In our office, we strive to make our patients feel welcome, comfortable, and well cared for. Our goal is to help you maintain a healthy and beautiful smile that will last a lifetime. Delivery now available from our Leslieville location. Queen’s Head Pub provides the perfect backdrop for get-togethers for large groups and friends. Serving a wide variety of dishes from Indian to Thai to classic pub fare there is something to suit every palate. The comfortable setting and great service means that the Queen’s Head will quickly become a favorite place to visit. Open 7 days a week, come in and join their friendly staff for their lunch club or come and visit the sports bar for all upcoming Live Events on the big screen TV. Daily specials are always available at breakfast, lunch and dinner at this English Pub in Leslieville/Beaches.Visit us each day of the week for our cheap drink specials. Quick Clean Laundry Centre was founded in 1972. Prior to the opening, Gordon Grigoroff had been servicing the equipment of other laundry facilities in Leslieville and surrounding areas. With his determination and insight, and with the help of his father Alexander Grigoroff, Gordon decided to open his own store. The store was originally equipped with top load washers and single pocket dryers. Today we have a wide variety of washers and dryers, including some of the largest front load washers around. Our store is attended and equipped with multiple folding stations and seating areas. We offer Wash and Fold Services, Alteration Services, and we are the first Laundromat to offer a Washer-Dryer Transfer Service. Since the beginning, Quick-Clean Laundry Centre has been a family owned and operated business. Currently in it’s 3rd generation of operation, our goal has always been to provide the best customer service possible. Backed by our tradition of quality service, Quick-Clean Laundry Centre is proud to continue to serve the people of Leslieville and surrounding areas. About Radical Road Brewing Co.
Our story began in Edinburgh, Scotland, atop a mountainous hill known as Arthur’s Seat. Below the cliffs of Salisbury Crags is a pathway created by labourers after the Radical War of 1820. This path is known as the Radical Road. Co-founder Simon da Costa spent many days walking along the Radical Road and it was there that he first dreamt of starting a microbrewery. Jon Hodd had a similar vision and the two brewers joined forces to release Canny Man, a Barrel Aged Scotch Ale and The Wayward Son, a Belgian Style Golden Ale. Partnering with Julian Holland and Steve Davis has now allowed Radical Road Brewing Co. to continue the journey from a part time operation into something bigger, better and ever evolving. At Rashers, we promise you one hell of a bacon sandwich. Using some of the finest local ingredients, we’ve created a selection of sandwiches that highlight the versatility of bacon’s different cuts, cures, and flavours. Despite its recent surge in popularity, bacon is not a trend—it’s a staple. We believe it does not need to be weaved, infused, dipped, liquefied, or candied. Bacon is the foundation of our amazing sandwiches, not simply a garnish or add-on. We recognise that, like our sandwiches, our customers are unique, and your tastes matter. Prefer your bacon chewy or crispy? Brown sauce instead of red? Egg sunny side up, over easy, or hard? Just ask! We’ll probably even remember your order for next time. Whether it’s a quick Hogtown Sandwich for breakfast, a hearty Beer BLT for lunch, or a classic Bacon Butty to soak up the alcohol after a night out, we’re here to remind you of what a great bacon sandwich should be. We believe that consumers make better real estate decisions when they have access to data and smart advice. One in every 100 people in Toronto is a licensed real estate agent—and yet, not enough Torontonians are getting the real estate advice they need. For too long, the residential real estate sales industry, brokerages and agents have been focussed on making sales and managing transactions, not advising consumers on the bigger picture—like whether it’s the right time for you to be buying or selling. That’s why we launched Realosophy, an independent, full-service real estate brokerage company powered by highly skilled, full-time agents who are committed to our philosophy. For Four Years now The Red Sandcastle Theatre has been a creative hub in Leslieville for the theatre and theatre going community to have a lot of fun! 50 – 70 Seats of Magic. People ask “What’s goes on here?” to which I reply “Anything is Possible”. Plays,Concerts, Comedy, Kids Camps are offered with a ‘Play in a week” format, One day birthday party/plays are held, Music Classes, Art Shows, Open Mic nights, Fund raisers, Art Shows, Book Launches, Rehearsals, Movies shot. Mostly Plays though, everything from One Woman Comedies to Escape from Happiness, to Christmas Pantomimes. We opened with Susanna Hamnet’s Straight from Broadway Show ‘Nearly Lear” and in the first year there were 42 productions, three Dora Nominations and one Dora Win. So very Proud. Come look in the washroom for posters of past productions. It makes me happy. So what is going to go on this year? Well, Anything is Possible In this very colorful blackbox. I plan on writing some plays, acting in a few plays, directing a few plays, what are your ideas? Call me, 416 845-9411 Come and Play! Great fish and chips since 1930. We’re Restore Integrative Health, Leslieville’s health network. At Restore, we use a combination of traditional and modern medicine to help guide you towards optimal health. Our goal is to provide you and your family with individualized, collaborative and preventative care. It’s our approach to wellbeing and it’s how we want to restore your health. Our approach to eating is simple. We believe the best way to healthy eating is to consume minimally processed, sustainably raised, locally grown foods. All of our animals are raised locally in a humane, low-stress environment without the use of antibiotics and growth-promoting hormones. They have open access to food and water, and eat strictly vegetarian diets. A Friendly Local, Owned by Locals. S & S Motors Inc.
About S & S Motors Inc.
Drug store, pharmacy, and variety. Cafe and comic book store. Sushi Mugen is the prime choice of locals in Toronto where you can wrap your taste buds with highly authentic Halal Japanese meals. Our chefs prepared many prodigious traditional Japanese dishes that are carefully cooked by using only fresh ingredients. Come at our lively restaurant and experience authentic Japanese cookery. Visit our groundbreaking modern restaurant ambience or order online via JUSTEAT to get your meal at your door steps. We have a large list of deliciously cooked Japanese food such as Soup & Salad, Salads, Appetizers, Maki Rolls, Nigiri / Sashimi, Hosomaki, Uramaki, Lunch Menu, and Beverages. SUSTAINABLE.TO Architecture + Building is a leading Canadian full-service sustainable architectural practice. As architects and building scientists, we deliver healthy, affordable, and energy-efficient architectural solutions at every scale: from renovations and single-family dwellings, to master planning and institutional new builds. Motivating our community to eat well and get moving. We offer all natural, daily made grain bowls, open faced sandwiches, and morning snacks. 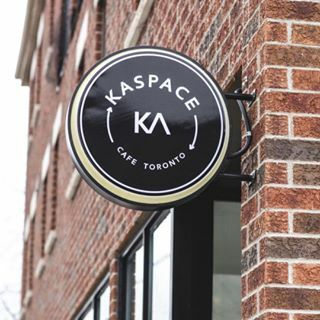 We are proud to serve Toronto based station cold brew and Tonica Kombucha on tap, as well as propeller coffee for our espresso based drinks and brewed coffee. About Sweet Bliss Baking Co.
Homey establishment offering brewed coffee, espresso drinks & teas, plus light fare & baked goods. Here at THE TEN SPOT®, we talk a lot about how important it is feel like a ten. Or, if you’re Instagram addicts like us, how important it is to #FeelLikeATen. It’s not corporate speak, by the way. We actually believe it and it’s a huge part of our ethos as a company – hence why it’s numero uno on our core values list. At our HQ, we talk a lot about how to feel like a ten inside + out, in our careers, and with a healthy work-life balance. We think everyone deserves to feel like a ten all the time, because at its essence, it’s all about confidence. A confident woman can do anything – nail her work projects, be a domestic goddess, and look fabulous doing it. We’re here to help you feel like a ten every single time you visit a 10spot®. We take our name and feel from a landscape in the West Coast of Ireland – The Burren. Diverse, mysterious, and picturesque. With several of us coming directly from Ireland, our group is well aware of the fundamentals of the Irish pub. Friends and families alike will have access to our two dining rooms, large bar area, and of course our incredible street-facing patio. While enjoying our wonderful and extensive menu, customers will also be able to enjoy our amazing artwork scattered around the inside and our mural dominating the patio area, all based on Irish folklore that The Burren landscape so brilliantly lends itself to. At its core, yes, we’re a rustic Irish pub, however, that doesn’t do it justice – quail ‘wings’, deep-fried pâté, fresh oysters, pints of Guinness and some proper craic! Lot’s of creativity has been put towards this project, which will provide customers with more than an average dining experience. Our patio can seat roughly 100 people, and inside just the same. Sitting at the bar will feature the shucking area, our extensive beer selection, and our wonderful regulars! With such a lovely neighbourhood to cater to, we hope to show the area off to those who may come from away. Naturally the main feature are the people, so we hope to see you all there! The Burren – a bit of West Coast Ireland in East-End Toronto. Two boutiques in downtown Toronto carrying clothing, accessories, designer toys, treats, gourmet foods and grooming for the posh-pooch and glamour-puss. Women’s ready to wear and custom made clothing. We are a big, bright and beautiful yoga studio in Leslieville dedicated to offering pre and postnatal yoga, wellness and education to women and their families. Yoga Mamas is a community of mamas supporting each other through the spirit of yoga and parenting. Our community creates opportunities for the mamas to stay connected, build friendships and learn from each other as new parents. We’re located at 1402 Queen St East, Suite D. Just east of Greenwood. We look forward to welcoming you into our space. We are Unifor Local 87-M.
Our members work at some of Canada’s most popular and prestigious newspapers, magazines, television and publishing houses such as the Globe and Mail, The Toronto Star, The Toronto Sun, Sing Tao, Maclean’s magazine, The London Free Press, ATV and many more. We are the reporters, editors, photographers, videographers, graphic artists, computer technicians, printing, pre-press, advertising, circulation, finance staff who bring you the news about your community, your province and Canada. We are headquartered at 1253 Queen St. E., Toronto, just east of Leslie St and north of Lakeshore. Bulk foods are our thing. It has literally been in our blood for three generations. Living in the city we saw a space to be filled in the urban ‘hoods where people could shop for organic, healthy foods, in bulk-at a fair cost. And thus UBE was born! We offer high quality, wholesome, nutritious ingredients and a friendly vibe. The way it’s supposed to be! We take pride in offering fresh ingredients that are good for you. We carry everything that typical bulk stores would have such as: whole grains, dried beans, dried fruits, baking chocolates, coffee, tea, flour, trail mixes and spices. However over 70% of our products are organic and where possible are locally sourced. We also carry grocery staples such as milk, cheese, eggs and ready-made soups! As well as a wide variety of pre-packaged foods, sauces, jams, etc. We encourage customers to bring in their own containers so they can #STOCKUP and also reduce their packaging and carbon footprint. We here at UBE we want to bring shopping back to the way it used to be! Buy what you need enjoy an interactive shopping experience and to support local small businesses! Value Village, a Savers brand, is a for-profit, global thrift retailer offering great quality, gently used clothing, accessories and household goods. Our business model of purchasing, reselling and recycling gives communities a smart way to shop and keeps more than 650 million pounds of used goods from landfills each year. We also help more than 120 nonprofit organizations by paying them for donated goods, which supports their vital community programs and services. All in all, we operate over 330 locations and have 20,000 employees in Canada, the United States and Australia. Housed in an eclectic space that was originally built for Jessie Ashbridges, son of pioneer Sarah Ashbridges, The VandenBerg House is an inspiring co-working and events space dedicated to providing high quality shared office solutions for entrepreneurs and artists in Toronto. We are a space where professional worlds mingle, collaborative partnerships are born, and ideas take flight. Varsity Brown (VB) offers leather bags and accessories. Our brick and mortar storefront/shop is located in Toronto’s Leslieville neighbourhood. Our micro fashion house uses a combination of heritage techniques and technological precision. The finished products are made to last and can be serviced/repaired in our shop. We make leather for life, not luxury. Luxury is sitting down, avoiding the rush, playing it safe. Luxury is having somebody else do it. Life is jumping the fence, eating lunch in the park, going right from work to the party. We make leather because you deserve great things. Everything is handmade in Canada. Inviting new art space in Leslieville! Special events & dancing take place at this funky hangout with an upscale & eclectic feel. This store is located in Leslieville at 1081 Queen Street East. A location with a new sleek look to match the neighbourhood and Oben Flats above our store. Close to Leslie Grove Park, we are a great place to stop by for chilled wine and cider on your way home. We are very excited to be a part of this growing community and look forward to seeing everyone!